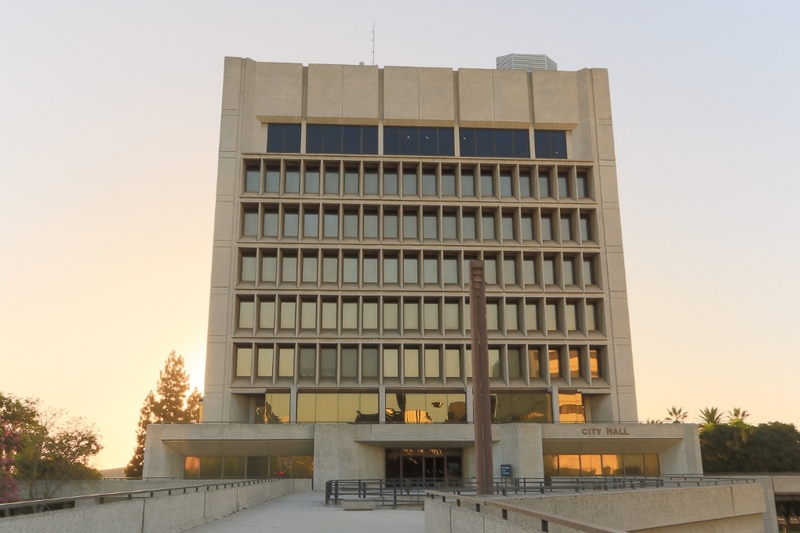 Inglewood's Civic Center complex is anchored by its nine-story City Hall by Charles Luckman Associates architects. 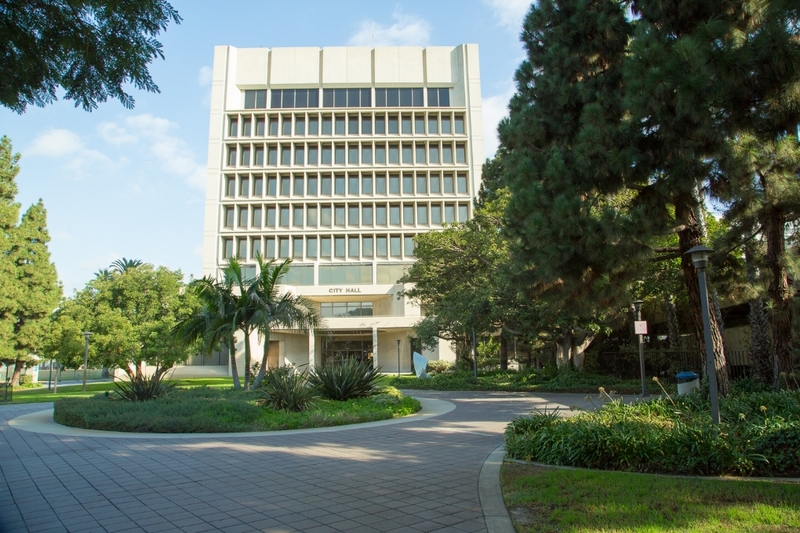 The building's high rise design resulted from his desire to create a civic icon for Inglewood which would be a recognizable landmark in the low Los Angeles skyline. Luckman was also inspired by his collaboration on Skidmore Owings and Merrills’ Lever House in Manhattan completed in 1952 as well as by Kallmann and McKinnell's Boston City Hall which opened in 1969. 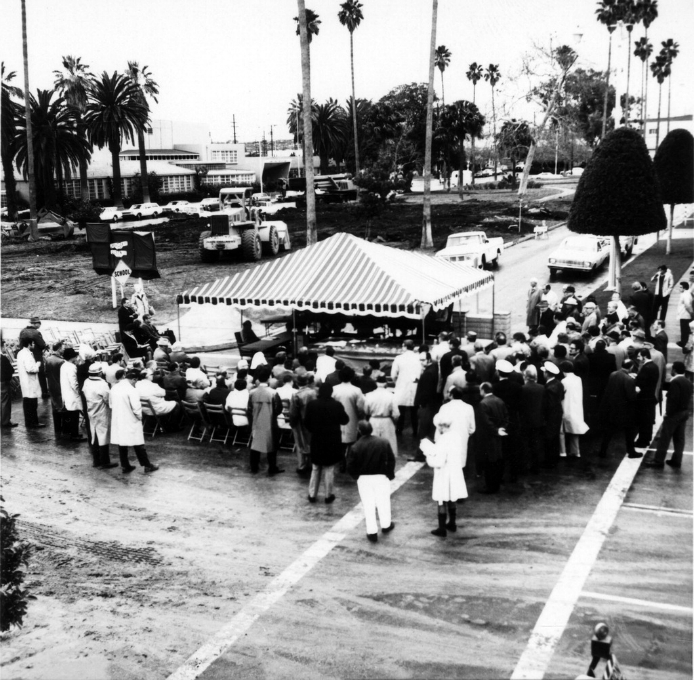 He framed Inglewood’s Civic Center by setting it back from Manchester Boulevard and La Brea Street with Robert Herrick Carter’s landscaping. The only signpost marking the La Brea Avenue entry is Tony DeLap's Skedans sculpture. 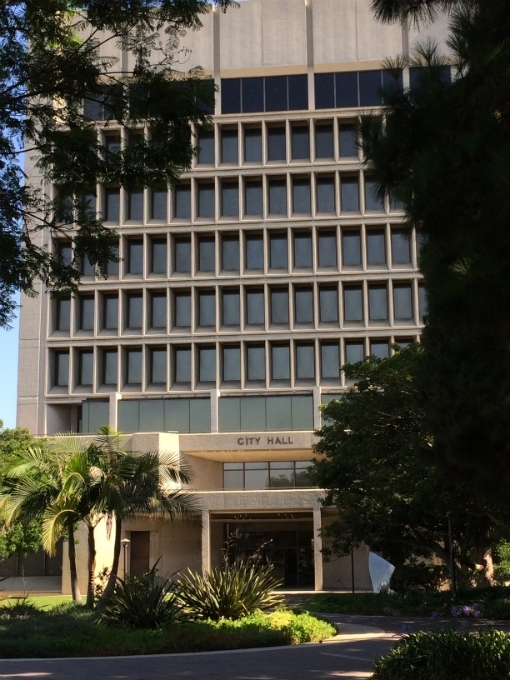 Cars are discretely guided to parking structures below the facility or adjacent to City Hall. 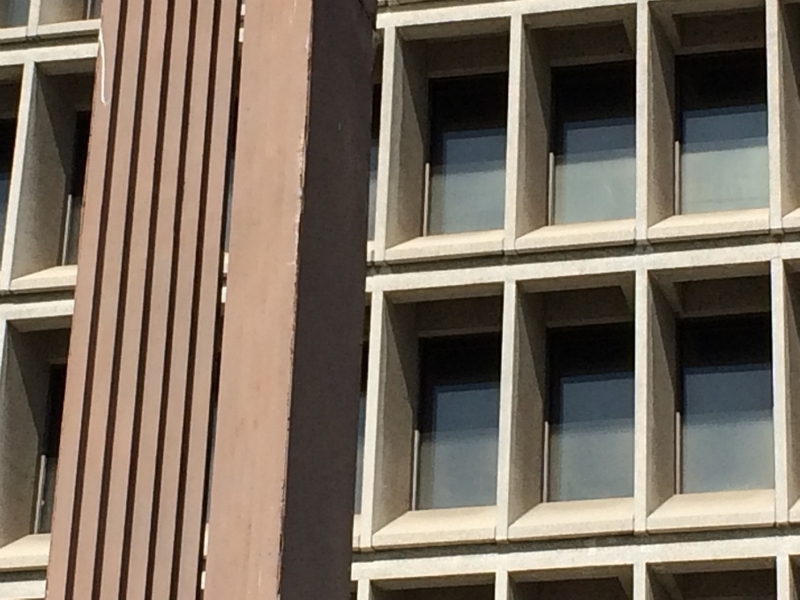 City Hall has many of the hallmarks of the International Style. Even though the building is organized with a ring of offices around each floor plate, each facade is treated differently to respond to its orientation. 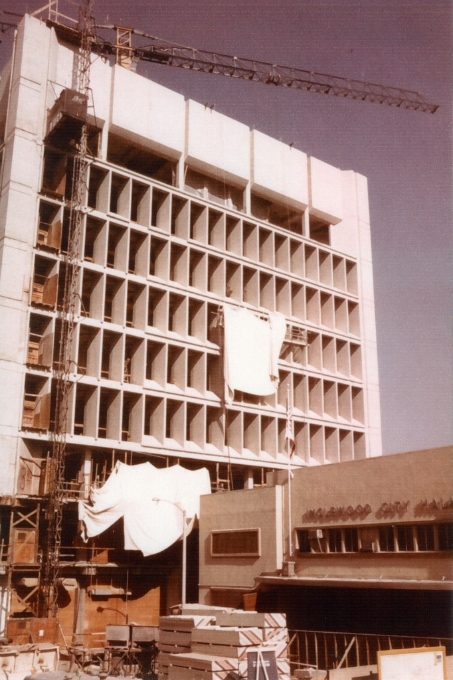 The building incorporates a bevy of technical features then considered state-of-the-art: it is constructed of poured-in-place concrete, the windows are set back with concrete 'bris soleil' or sunscreens, tinted glass, and (typical of the time) it was fully air conditioned throughout. Robert Herrick Carter's role on the project was a true collaboration. His landscaping of the plaza thoughtfully manages to knit the multi-level complex together and provide a green carpet of vegetation for the concrete buildings. 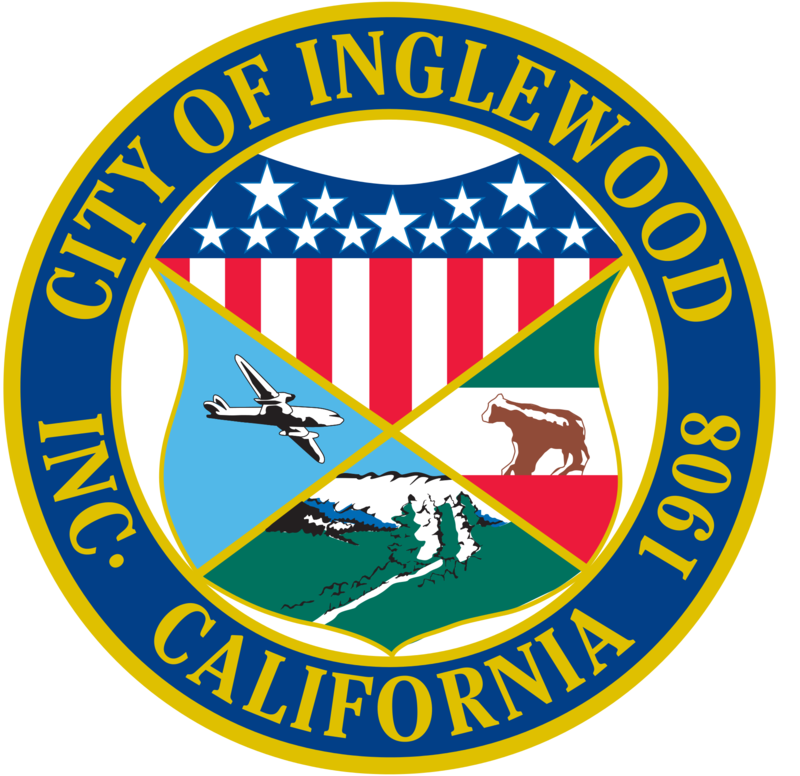 Carter took full advantage of Inglewood's microclimate and even included flowering coral trees in his design. In the half century since the complex was completed, the trees have grown and the plants in the gardens today look like a mature version of the original design. Charles Luckman was born in 1909 in Kansas City, Missouri, and studied architecture at the University of Illinois. He graduated in 1931 in the midst of the Depression. Professional jobs were rare, so he joined the advertising department of the Colgate Palmolive Peet Company. He soon became a sales manager with the Pepsodent Company where he was credited with quadrupling profits. When Lever Brothers purchased Pepsodent, the board named Charles Luckman the company president leading to his 1937 Time magazine cover at the age of 27. As president of Lever Brothers, Luckman was personally involved in commissioning Skidmore Owings and Merrill to design Lever House, the first glass skyscraper on Park Avenue in New York City. 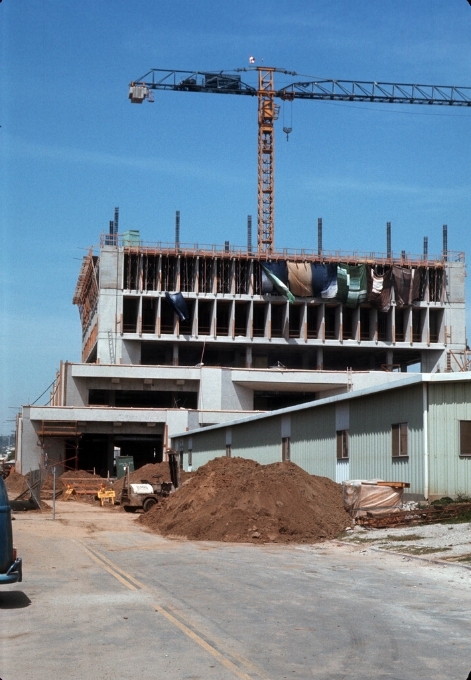 After the building was completed, Luckman decided to return to architecture. 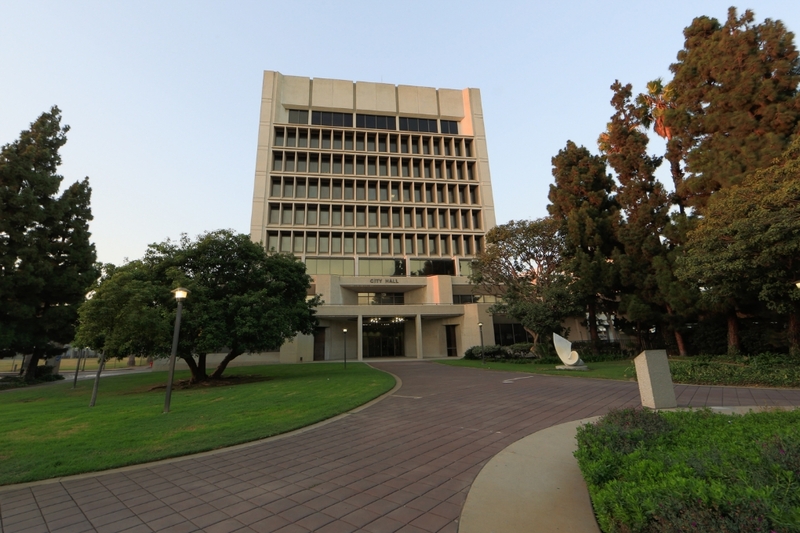 Joining William Pereira in Los Angeles, they designed many buildings including the LAX Theme Building and Boston’s Prudential Tower. 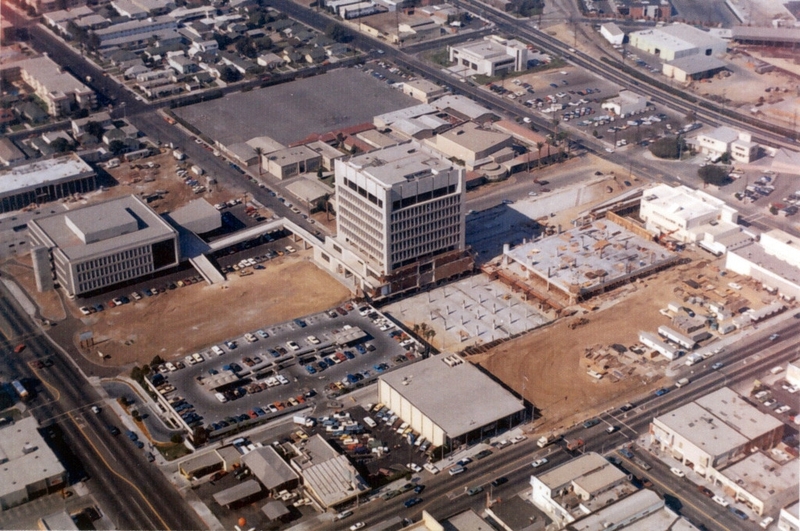 Later leading his own practice, Luckman designed the Los Angeles Convention Center, New York’s Madison Square Garden, and the Inglewood Forum. Luckman died in 1999. In the 1960s, he began greening deserts by using native plants; he also designed projects in Saudi Arabia. He won many landscaping and design awards before his death in 1989.